It is never easy to break the mold and create one’s own path but she made up her mind to do something other than acting. She came up with her own fashion label ‘Ara’ and jewelry brand called ‘R’ and stuck to her decision. Yes, you guessed it right! We are talking about Riddhima Kapoor Sahni, the beautiful daughter of Neetu & Rishi Kapoor. While she herself is a designer, her favorite choice is the designer duo of Abu Jani and Sandeep Khosla. Riddhima enjoys watching movies and is particularly fond of horror movies. The Kapoor family loves food and Mrs Sahni is not an exception; she binges on chocolate chip cookies. Even though Riddhima calls herself a foodie, she is disciplined and cautious of the food she eats. She is also averse to change and gets annoyed when something changes. The lady socializes a lot in Delhi and that also helps her promote her products. To de-stress she relies on Play Station 3 games and power Yoga. The beautiful lady comes out a very open-minded and clear-headed person in her approach towards life. Mrs. Sahni knows how to strike the right work-life balance and lead a peaceful life. She holds her parents in high esteem for all the values they have instilled in her. 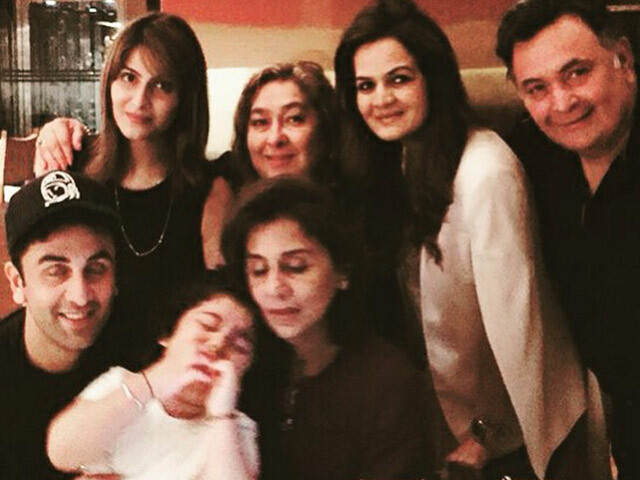 Born in the first family of Bollywood, Riddhima Kapoor is the sister of famous Hindi-film actor, Ranbir Kapoor. She is just two years older than her brother. The legendary film director and actor Raj Kapoor is her grandfather and the great Prithviraj Kapoor is her great-grandfather. Raj Kapoor’s sons Randhir Kapoor and Rajiv Kapoor are her uncles while leading actresses in the Hindi film industry Karisma and Kareena are her cousins. 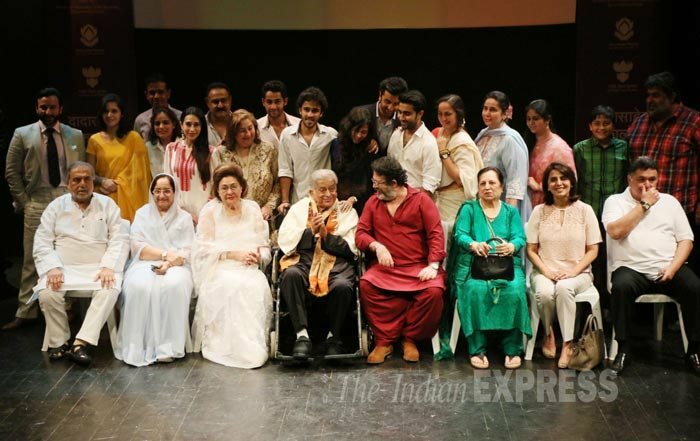 And that’s not all, the dashing and famous actors Shashi Kapoor and late Shammi Kapoor are her grandfathers too. Riddhima’s relationship with her parents is very adorable. She recalls her ‘Dinner with Daddy’ moments instantly, in which her father used to ask buzzer questions like in Karan Johar’s Koffee with Karan and, hence, the name. She also states that her father was totally committed to the family and never missed to take the family out every weekend. Regarding work comparisons between all the actors in the family, Riddhima says all of them are her favorite and she never misses any of their movies. She is not afraid of being biased towards their work. The fashionista is very close to her mother and takes her advice on all matters. She has received the constant support of her mother in all aspects of life, be it work or personal issues. Riddhima feels her mother is a ‘super mom’ and thanks her for giving up her career to look after the whole family. Mrs. Sahni says her mother is her best friend and she doesn’t hide anything from her. The Kapoor girl discloses that her mother was not the harsh type and believed in talking to resolve issues. 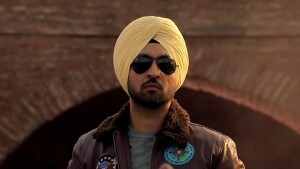 Her mother’s strict avatar was reserved for Ranbir who was a naughty child. Riddhima feels that her brother is possessive, warm and gets along well with different kinds of people. Remembering the time when she watched WWF fights with Ranbir and then both of them imitated the wrestlers, she shares that their mother would warn and scold Ranbir even if she started the fight. 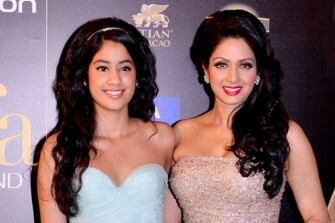 The entire family appeared on the cover of G magazine for the first time when Riddhima was just eight-year-old. 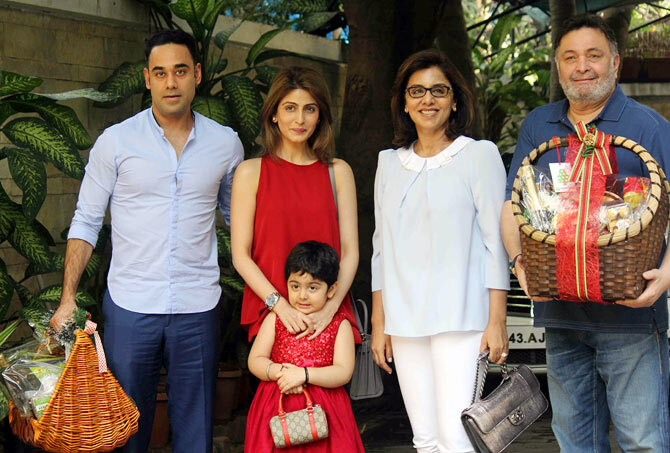 The fact that Neetu Singh and her children, Riddhima and Ranbir are not on good terms with Babita and her daughters Karisma and Kareena is not hidden. But Riddhima maintains that she has no problems talking to Karisma. 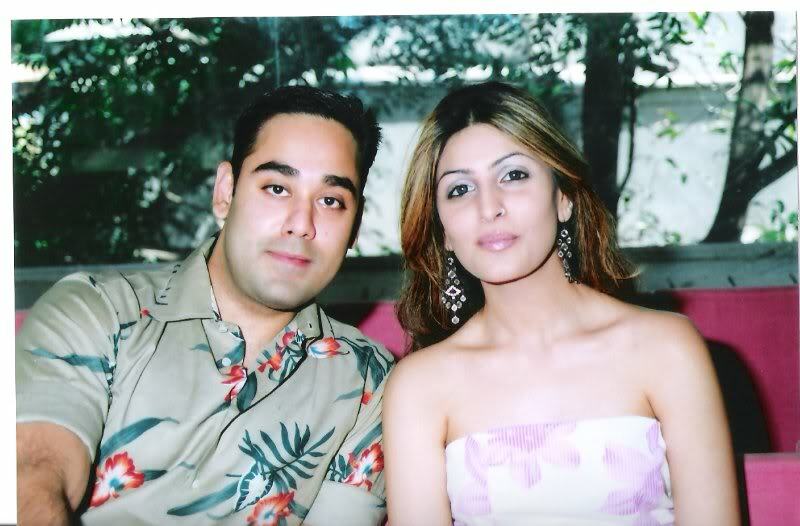 Riddhima married her classmate and Delhi-based businessman Bharat Sahni on 25 January 2006 and got settled in New Delhi. She has a five-year-old daughter Samara who was born on 23 March, 2011. The lady met her better-half while studying in London and tied the knot after four years. In fact, the couple spent a year to decide if they were made for each other. The degree in fashion marketing proved to be an additional asset as her hubby owns a fashion house and is in the garment export industry. Despite having good looks and a family full of successful actors, Riddhima chose a different career. She studied fashion marketing at the American Intercontinental University in London. Riddhima is not the one to sit back and relax and in January 2016 she began her own jewellery line called ‘R’ in partnership with Punjab Jewellers in Mumbai. 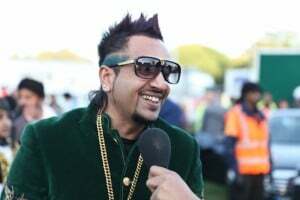 The collaboration was not just with the company but also with friend Anuj Kapoor of Punjab Jewellers, who is a business partner in the venture. With this enterprise, Rishi Kapoor’s daughter became the first in the whole Kapoor family to start a jewellery business. The jewellery items are made from 18karat gold and embellished with, natural and colored diamonds, precious and semi-precious stones to make them stand apart. The designs are minimalistic and can be adorned for several occasions. The products typify simplicity and elegance and can be bought from the online store or through social media. Purchase can also be made through the personal Instagram and Facebook page of Riddhima and through retailers Ravissant and Carma in New Delhi. The prices have been kept reasonable so as to make the bargain equally attractive. The fashionista’s family gave her all possible support in all her initiatives. Father Rishi Kapoor tweeted the logo of her jewellery brand so as to spread the brand on social media. Encouragement also came from people outside the family as well – well-known designer Sandeep Khosla reposted her designs on his Facebook wall. That’s not all, along with friend Devyani, Riddhima runs a fashion clothing collection called Ara, which is the Persian word for ornament. The clothes are designed for people who regularly attend parties and are also supplied to the Craze store in Dubai. Riddhima says she got interested in designing after seeing her mother in gorgeous designer outfits. Besides, she also does interior designing work. The ramp witnessed the lissome lass’s beauty when designer Suneet Varma chose her for his fashion show. 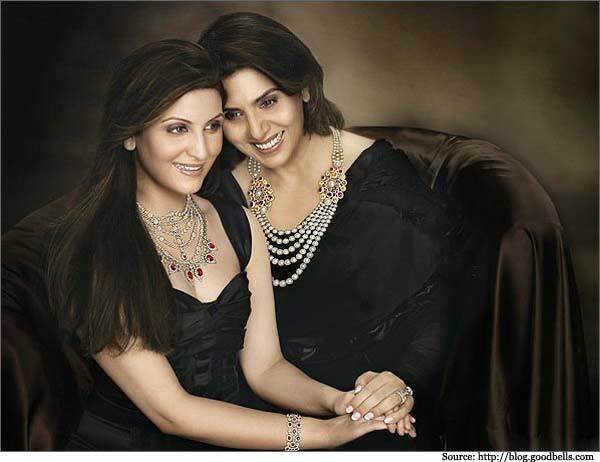 Riddhima, along with her mother Neetu Singh, has also appeared in the advertisement for jewellery maker Mahesh Notandass in Mumbai. She has also endorsed Kaya Skin Clinic and is the brand ambassador. 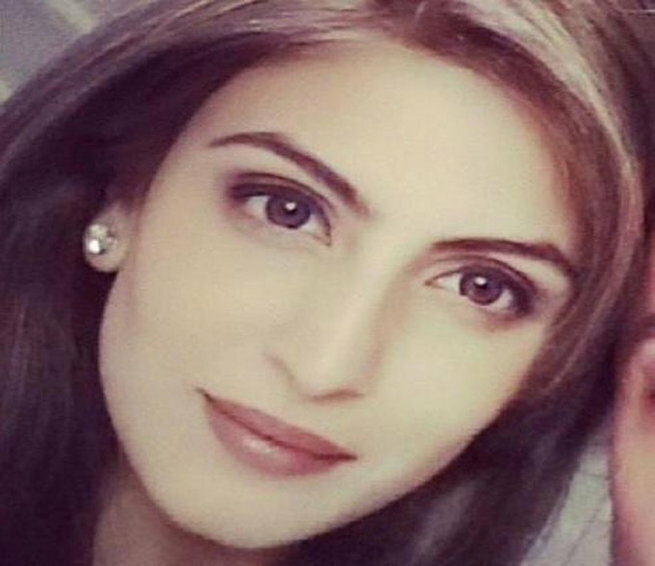 A social media confrontation took place when Riddhima Kapoor’s mother Neetu Singh posted a picture on Instagram in which she had cropped out Katrina Kaif. 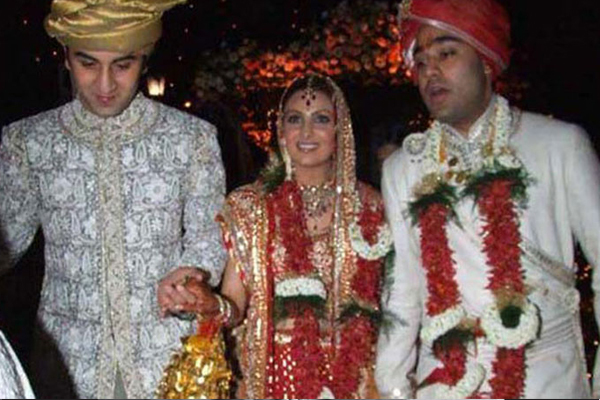 Since Kaif was dating Riddhima’s brother Ranbir Kapoor it gave the message that Neetu was not happy with Ranbir’s relationship with Kaif and a controversy broke out. Many followers posted nasty comments but Neetu remained quiet. It was Riddhima who did not accept the reactions and came out in support of her brother and Kaif too. Riddhima picked up one hater and gave him a befitting reply- setting an example before other followers. This incident was the first time when someone from the Kapoor family spoke in favour of the couple. Actor Salman Khan invited Riddhima to his sister Arpita’s wedding and reception but did not invite her brother Ranbir and her parents. Riddhima chose to give both the events a miss.